Let's see if this is you. You've done pretty well in life and you've earned the right to a prestigious executive car. You'd rather like a Mercedes-Benz - but not a dull-looking one like the guy over the road drives. If that three-pointed star could be mounted on the bonnet of something that cuts more of a dash - something a little more cutting edge - you'd be interested. And you'd be Mercedes CLS-Class target market. A cross between saloon and a coupe, this model has long pioneered an appealing niche within the executive sector as a highly distinctive proposition with comfortable room for four but styling that suggests otherwise. 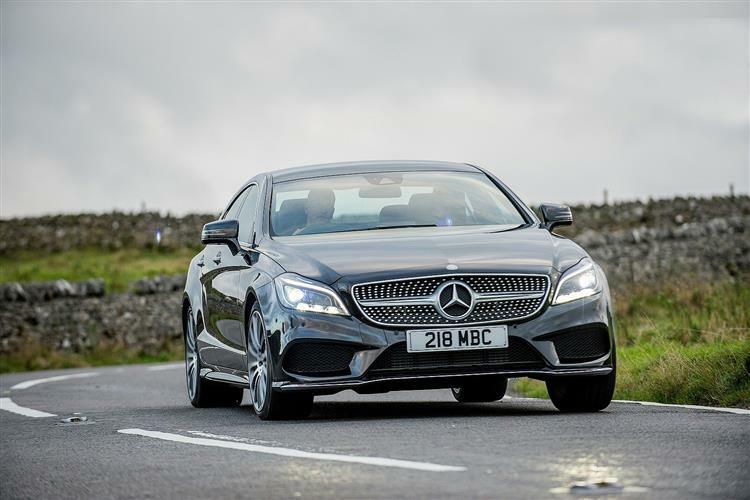 Though extremely refined and silky smooth on the road, it also has a subtly sportier flavour than the E-Class on which it's based, especially in the faster, more efficient and more sophisticated improved second generation form we look at here as a potential used buy. It sounds a simple concept: combining the elegance and dynamism of a coupe with the comfort and functionality of a saloon. 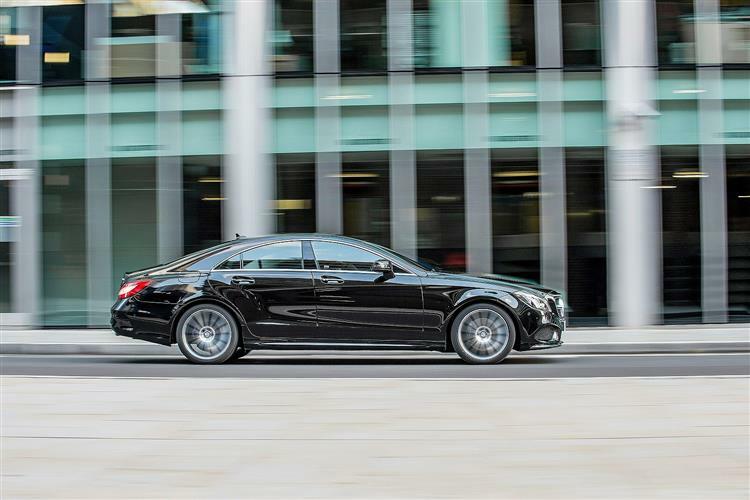 This car though, was the first to perfect it - the Mercedes CLS-Class. It's been around since 2004, with this second generation version launched in 2011, before being further perfected in the improved form we're going to look at here, which was introduced in 2014. It sold until the new MK3 version arrived in early 2018 and buyers were offered four-door coupe and 'Shooting Brake' estate body styles. There's a choice of either a booted four-door 'Coupe' bodystyle or the avant garde 'Shooting Brake' estate version. 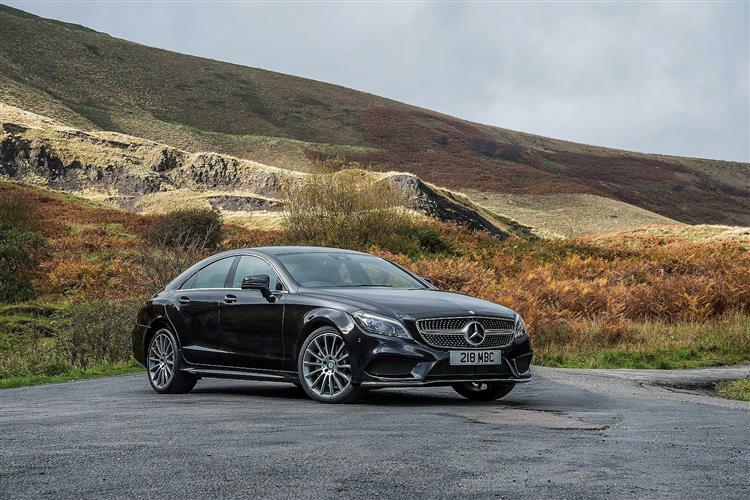 Either way, under the skin, the CLS remains essentially a conventional Mercedes E-Class executive model beneath sweeping bodywork that leaves it slightly lower and longer. In MK2 guise, its proportions stayed the much same as before, the original version's distinctive long bonnet, narrow-look side windows and dynamic roofline sweeping back towards the rear all being carried over. Yet at the same time, Mercedes changed quite a lot for this second generation version, these improvements relating not only to style but also to substance. Many of the panels on the MK2 CLS are crafted from aluminium, not just to copy the rival Audi A7 Sportback but primarily to achieve the lightness necessary for this car to be faster, yet more frugal than its predecessor. Actually, as it happens, it's almost exactly the same weight as the original 2004-vintage version, but given that this second generation model is not only longer and wider but also packed with extra hi-tech equipment, that's no mean feat. Significant in their contribution here have been the frameless aluminium doors, a full 24kgs less hefty than those of the MK1 model, which means they can be opened and closed more easily, especially on an incline. 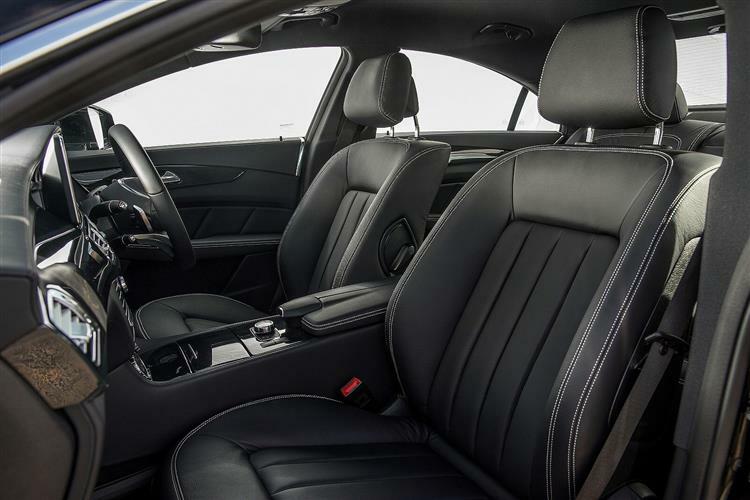 With all this going on outside, you could perhaps have excused Mercedes for taking the easy way out and simply sticking an E-Class interior in the cabin. In the first generation CLS, they probably should have done just that, for the vast plank of wood that ran across its dashboard wasn't the car's most appealing feature. Here though, a much classier result has been achieved that fully justifies the high prices being asked, a cabin even the crassest vulgarian wouldn't be able to ruin with extrovert choices from the endless options list. As for luggage space, well Mercedes is well aware that this car's closest competition comes from Audi A7 Sportback and BMW 5 Series GT models, hence the availability I mentioned earlier of a 'Shooting Brake' estate version to complement this booted model. This four-door offers 475-litres of space, a total you can improve if you've paid extra for a split folding rear backrest. 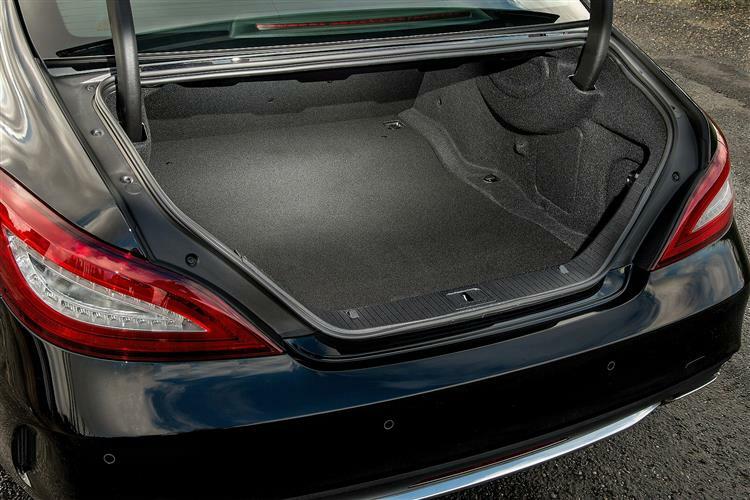 You can also make more of if you specify a 55-litre Easy-Pack boot box which folds away under the parcel shelf and can be extended to various depths. If that's not enough, then the 'Shooting Brake' models offers 590-litres - or 1,550-litres with the backrest folded flat. Insist on a full Mercedes dealer service history, especially for the most recent models whose lengthy warranty - effectively for the life of the car - is dependent on proper servicing by an authorised agent. Check that all the accessories work and watch out for cosmetic damage which can be expensive to correct. These are popular family cars, so check for wear and tear in the rear. Also look for the usual signs of wheel kerbing and poorly repaired accident damage. 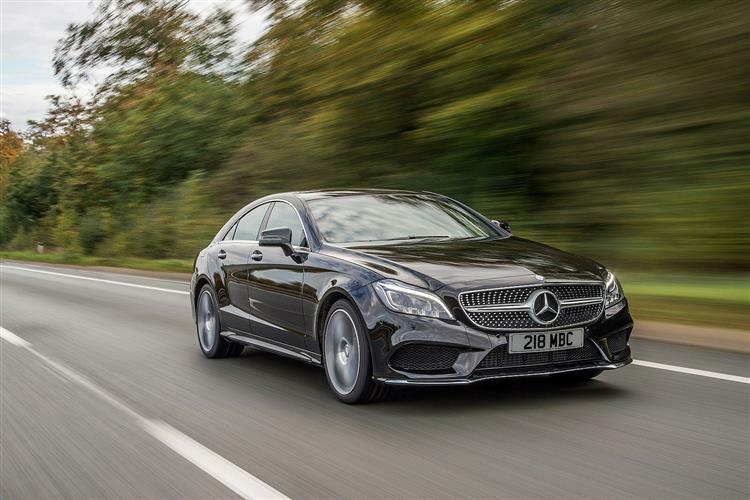 (approx based on a 2014 CLS 220 BlueTEC - Ex Vat) An air filter costs around £30-£38, an oil filter costs in the £6 to £11 bracket and a fuel filter costs around £20, though you could pay up to £82 for a pricier brand. Front brake pads sit in the £30 to £70 bracket for a set, while rear brake pads cost around £27-£44 for a set. Rear brake discs can cost as little as £54-£88. You'll pay around £205 for a front brake calliper and in the £315 bracket for a rear lamp. Wiper blades cost around around £10. 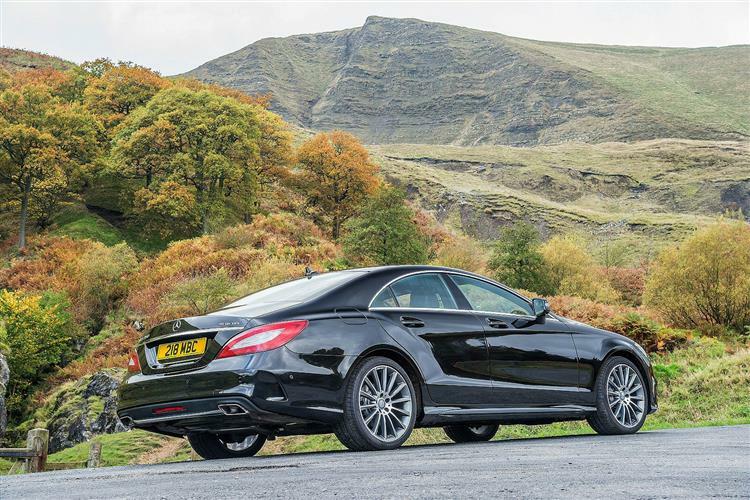 On the road, the exact CLS experience you get will depend on whether you opt for a version with standard suspension. Or one with the extra-cost Airmatic air-suspended set-up. The basic steel spring system actually offers a very good blend of ride comfort and body control. Original buyers specifying your car could have this 'Direct Control' suspension in either softer 'Comfort' or tauter 'Sport' guises. 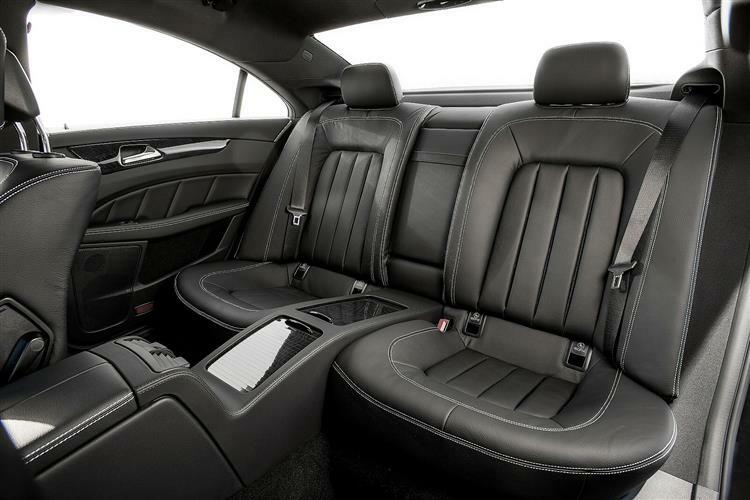 The 'Airmatic' set-up though, really delivers the full CLS experience. Here, the ride can adjust itself to the way the car's being driven, reducing body roll if you're at speed on a twisty road but softening up the suspension and lowering the body if it senses you're racking up the motorway mileage that really represents this car's comfort zone. But it's the standard Multibeam LED headlamps that we think we like most. These are made up of 24 individual LED units dimmable in an astonishing 255 stages and controlled by a stereo camera mounted in the windscreen that also receives information about approaching road conditions from the sat nav system. The lights can stay in permanent main beam mode while adjusting their beam length to ensure that oncoming traffic isn't dazzled. They also include an advanced cornering feature that allows the light beam to swivel in anticipation of an approaching bend. On roundabouts, the headlamps also activate left and right-hand cornering modes so that both edges of the road are illuminated. It's all very 21st century. Time to talk about engines. 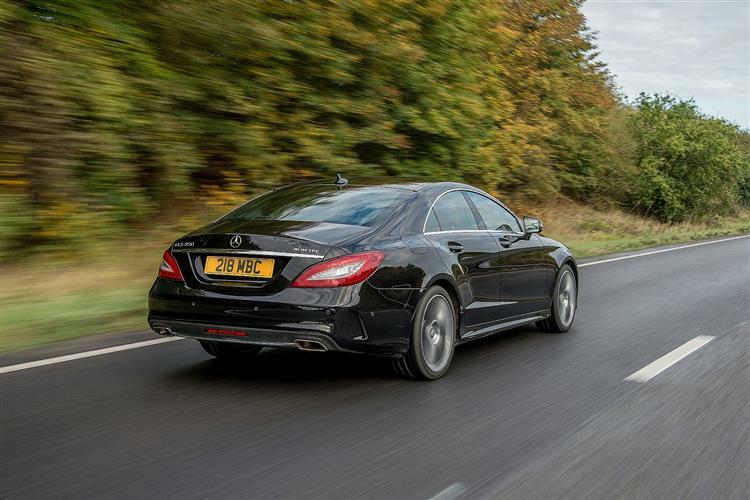 All the ones on offer are reasonably pokey - even those of the two mainstream BlueTEC diesel variants that almost all CLS customers choose. The entry-level 2.1-litre four cylinder unit powerplant was cleaned up for this facelifted MK2 model and de-tuned from 204bhp to 177bhp - hence the badging change from 'CLS 250 CDI' to 'CLS 220 BlueTEC'. It's still quite acceptably rapid though, 400Nm of torque enough to deal with the 0-62mph sprint in 8.5s en route to 140mph. 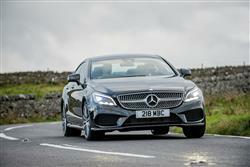 On to the six cylinder diesel option - the CLS 350 BlueTEC model we'd recommend. This powerplant arguably suits this car much better, with 258bhp on tap and, more importantly, over 50% more pulling power that wafts you to 62mph in just 6.6s and would demolish a long autobahn trip hovering at or hear its 152mph maximum. One of the key reasons for stretching to this variant though lies not with its extra grunt but with its gearbox. This was the only one of the improved second generation CLS-Class models that got the '9G-TRONIC' nine-speed auto transmission that Mercedes developed for this car. There wasn't much wrong with the original second generation CLS-Class model, so with the mid-term update in 2014, not too much needed to be done to fix it. 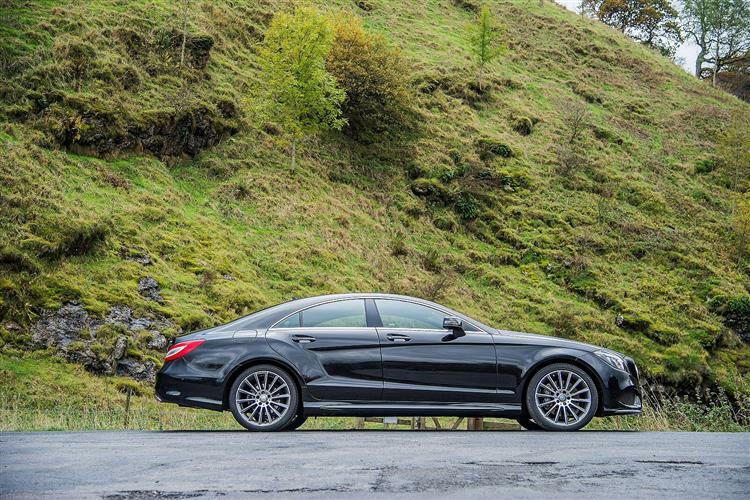 The introduction of the class leadingly-efficient CLS 220 BlueTEC version was probably the key change. A car of this kind that can manage over 56mpg in regular use and return under 130g/km of CO2 will certainly be tempting for many executives. Doubtless it would be more efficient still if Mercedes had engineered that particular variant to take the other key development made for this revised MK2 model CLS-Class range - the 9G-TRONIC nine-speed auto gearbox. Unfortunately, provision of that was limited to the impressive six cylinder CLS 350 BlueTEC diesel variant. Ultimately then, this is a very complete car indeed, provided you can afford its significant price premium. Once upon a time, people could admire a Mercedes, aspire to ownership, or respect what it did but they rarely formed an emotional bond with one. But then the CLS arrived and changed all that. As it still does.